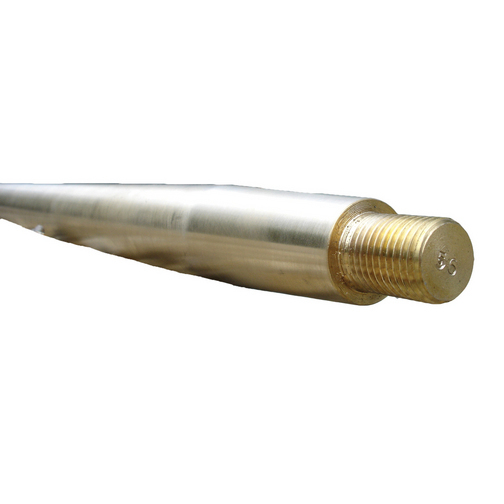 Freeman Cruiser propeller shafts are availble to fit the majority of standard Freeman Cruisers. New propeller shafts are usually available to fit the majority of standard Freeman Cruisers that need replacing with several held in stock. If you think you need a new propeller shafts please contact us on 01491 652085. It is generally a wise idea to check the propeller shaft is running true when the boat is out of the water. A simple visual check for signs of wear, particularly near the P-bracket where a 'ring' of wear can appear and any bend, which can be caused by hitting the bottom, can help to highlight any bad oscillation.